Dear Applicants, Are you looking for Bank Jobs here is a good news for you. Dena Bank has released notification of PGDBF Course for 300 Probationary Officer Vacancy. Candidates who are interested in Dena Bank Recruitment 2017 can fill online form here before the last date. 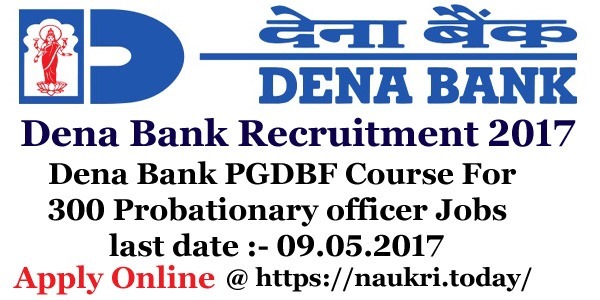 You can fill online form for Dena Bank PGDBF PO Vacancy on or before the last date 09.05.2017. Dena Bank is inviting online application for recruiting candidates on 300 PGDBF PO Vacancy. Candidates who are looking for Dena Bank Jobs have a chance to fill online application. Online registration for denabank.com Vacancy has been started for 18.04.2017. For more details about Dena Bank Vacancy like Eligibility Criteria, Pay Scale etc. you can check from given below details. What is the Eligibility Criteria for Dena bank Recruitment 2017/ Required Qualification for Dena Bank PO Vacancy 2017 ? Education Qualification For Dena Bank Probationary Officer Recruitment 2017 : Candidates must have done Graduation in any stream or equivalent qualification with minimum 60% Marks (55 % for SC/ST category) for Dena Bank Vacancy 2017. Candidates must have done their qualification from any recognized University for Dena Bank PO Jobs 2017. Dena Bank PO Exam Age Limit : Minimum age of the candidates for Dena Bank Recruitment 2017 should be 20 years & upper age must be 29 years as on 01.04.2017. age relaxation is applicable up to 05 years for SC/ST Category & 03 years for OBC Category candidates for denabank.com Vacancies. Application Fee For Dena Bank Online Form : Candidates who are belonging from SC/ST/PWD category need to pay Rs,. 50/- for filling Dena Bank PO Job Online form. Other category candidates should paid Rs. 400/- for applying online form against Dena Bank PO recruitment 2017. Stipend for Dena Bank PGDBF PO Vacancy : Department will paid stipend for selected candidates during entire duration of Programme, which is of total 2,500/- per month. During internship of three months Additional stipend of Rs. 7,500/- will paid for selected candidates for Dena Bank PO Vacancy 2017. Dena Bank Vacancy Selection Method : Selection of the candidates for Dena Bank Recruitment 2017 will based on Department Exam Scheme. Exam scheme will contain the Given factor for selection. After cleared all the examination candidates will appoint of Dena Bank PGDBF PO Vacancy 2017. 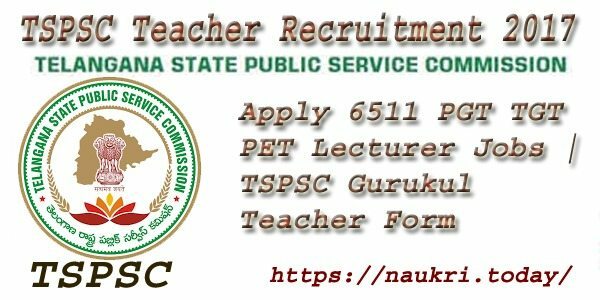 First of all department will call all the eligible candidates for Objective type Written examination. which contain 200 question of 200 Marks. Total time duration of Exam will be 02 hours. After that candidates appear in Descriptive Exam which contain question of 50 Marks. Selected candidates after Both Examination will call for GD Round. Group discussion will consist 20 Marks & Personal Interview will contain total 80 Marks. Candidates should get minimum 40% Marks in both examination for qualifying GD PI Exam. Final selection will based on marks Merit List. For more details about Examination & Other you can check from here. Keep in touch with this page for more updates about Dena Bank recruitment 2017. How I Fill Online Form For Dena Bank recruitment 2017/ denabank.com Po Jobs ? First of all candidates log on to the official website www.denabank.com. Now click on Career Section &n click on Dena Bank PGDBF PO Notification link. Fi you are eligible then click on Apply Online link. Fill all details in online form without any mistake. Upload your recent passport size Photo & signature inn form carefully. Now deposit application fee & click on submit application form. Dena Bank Recruitment 2017 For 300 PO vacancy. Candidates can fill online form for Dena Bank Recruitment 2017 on or before the last date 09.05.2017.